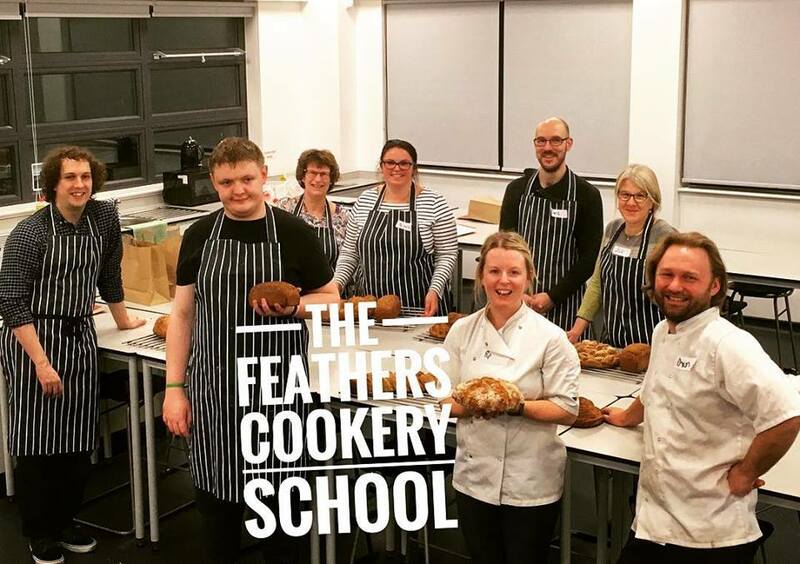 All our courses and classes are taught by professional chefs who are working or have worked in the Feathers kitchen. 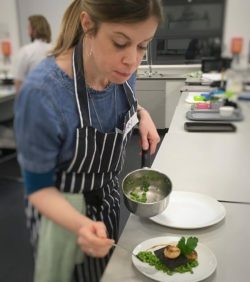 All courses and classes are hands on, designed to give you the skills and confidence to make the dishes at home. These classes are for those who want to learn a new skill by a professional chef. They are designed for complete beginners in these fields but will also be of benefit for those of intermediate cooking skills. Hands on tuition from a professional chef to give you the skills you need to create delicious meals at home. Ideal for those wanting to learn cooking basics and those wanting to expand their menu ideas. Vg – class suitable for vegans. V – class suitable for vegetarians. June 19 Cakes – the perfect bakes, classic and timeless creations with glamorous, style-driven twists. Nature’s bounty at its best. Roasted squash with goats curd and hazelnuts. Roast stuffed pork belly with apple and black pudding. Baked plums with creamy rice pudding. The real food of Srilankan shown to you by our special guest chef Vipuli. The flavours of Italy made easy. Caponata- sweet and sour aubergines. Veal saltimbocca and a classic Zabaglione with marsala. Everything you need to help plan order and cook for the complete seasonal feast with chef tricks, cook ahead and freeze cheats.